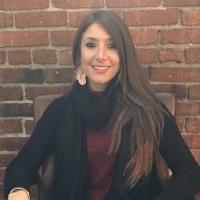 I am a Bilingual therapist, licensed in the state of Massachusetts, and have experience working with children, adults, and families, as well as veterans coping with Posttraumatic Stress Disorder. I currently work in a substance abuse treatment setting helping individuals struggling with addictions. I work within a person-centered, strength-based approach, in a direct yet gentle manner. Thus, I honor the person as they are, and help them realize their maximum potential through positive reinforcement, guidance, and support, within a multicultural lens. I believe that each person comes with a unique set of skills that at times are underdeveloped due to fears, doubts, and insecurities that are a product of their experiences. Therefore, I hope to empower individuals and help explore these difficulties through an empathic understanding, with the aim of helping them let go of these uncertainties, while developing their authentic selves. This approach may lead to the strengthening of strained relationships that have potential to be revived. I also aim to help couples navigate these issues with the goal of a healthy outcome in the relationship. In addition, I understand the nature and development of traumatic events in the course of a lifetime, and seek to help find relief to those who suffer devastating loss in the eye of unfortunate events that at times may be unexpected. Together, we can work to navigate successfully through your journey and develop an enlightening path moving forward. Someone who actually listens to you! She understands what you are saying. Sometimes this is all it takes to make all the difference. Stephanie is very positive and comforting. She works hard to help you figure out the source of your issues and doesn't make you feel criticized when you write about them. That is definitely something to admire. Besides being an outstanding professional, Dr. lama is also a compassionate and very supportive human being. Having begun therapy being quite skeptical, after just one month, a lot has happened for myself. I can tell that we are going to achieve great things throughout this journey. Talking to you helped me get out of my own head because you made me feel like I can trust and have confidence in my thoughts and that my feelings are my own and that I should listen to them. Would you like to write a review for Stephanie Lama? We'd appreciate if you can spend a couple of minutes to write a short review for Stephanie Lama (LMHC, LPC, CSAC-A). This review would be shared with Stephanie Lama. It may also be posted in our website or in Stephanie Lama's profile but it would be anonymous and your identity would be kept completely confidential.